If you are looking for donating then you can use our charity crowdfunding responsive script and you can stop your search. This project is the best solution for an individual, a company or an organization. Now-a-days the market value of crowd funding business has reached more than a trillion. 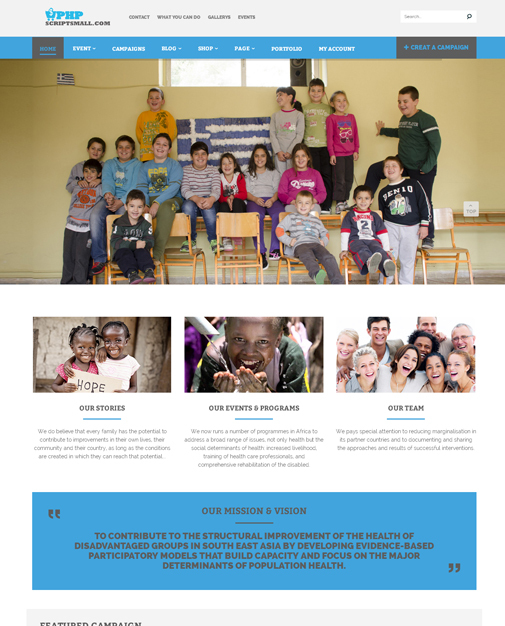 We have developed this PHP charity script with more than sixty pages to envelope all the necessary functions. 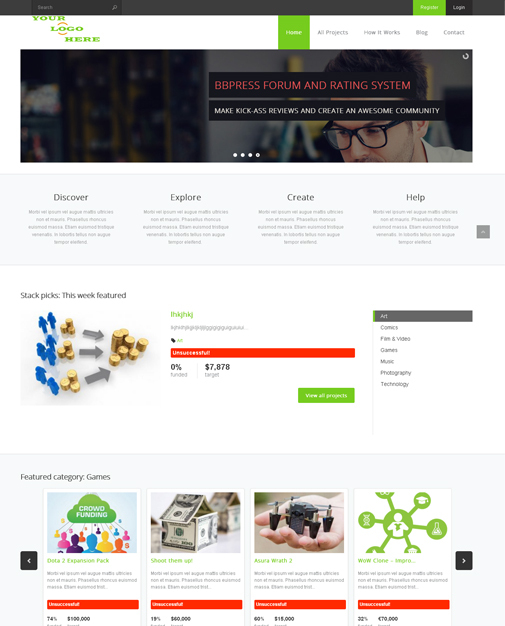 This application includes an intelligible CMS and SEO-friendly URL. 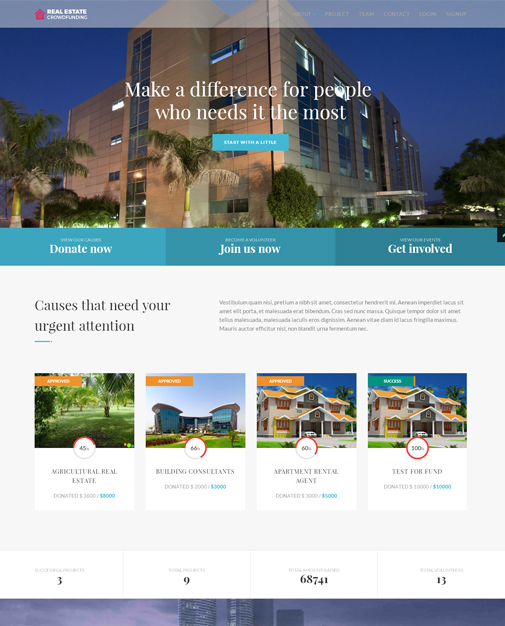 Our ready-made charity website templates has three different payment gateways, supports multiple languages, donation form, commission management and private message with social media integration and reinforcement of a group and subsists proficient technicians for last three months. We have sold more than fifty crowd funding scripts over the past year. According to your specifications you can customize as you wish because we offer editable version. Charity script comes bug-free and fully tested before it is deployed in the server. License For use on any personal, commercial, or client projects. Payment Type One time Payment :- Once you send the full payment we will give you the entire script files to you, there after you don’t want to pay any thing. 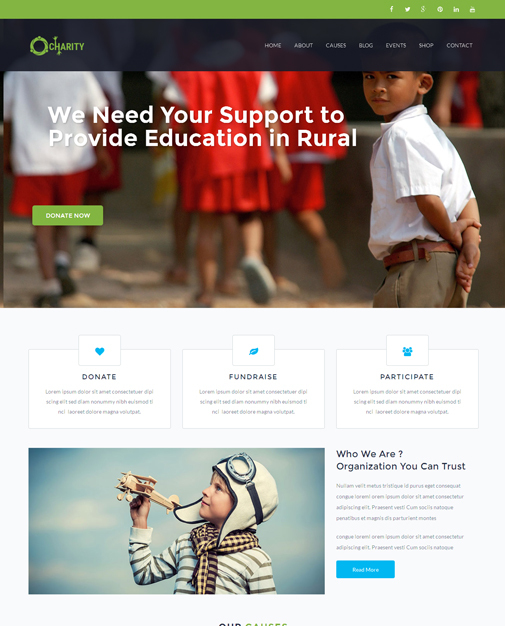 This theme was very easy to implement, customize and deploy. The sample site that can be imported was extremely helpful in getting up and running. Hello, Thank you for an awesome theme. I recently purchased it for one of my clients.